Mark Point has been appointed Chair of the newly formed Indigenization Committee of Senate at the University of the Fraser Valley (UFV). The prominent Sto:lo member, educator, and author has been involved with Indigenization of the curriculum and the culture of UFV since 2005. UFV Indigenous studies professor Wenona Victor has been named Vice-Chair and 12 regional members from Aboriginal organizations including First Nations, Tribal, Métis, and Inuit communities will sit on the committee. This is a unique arrangement involving members from outside of the university, university staff, students, and faculty who will consult directly to Senate on academic policies and procedures regarding Aboriginal learning, needs, priorities and goals. While the structure may sound complex, Point has a decidedly down-to-earth approach. 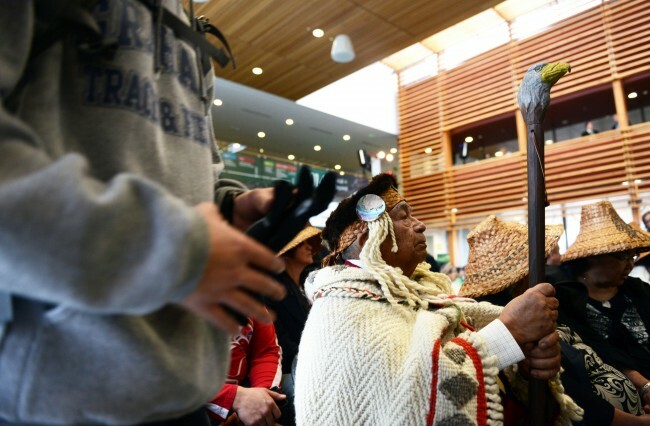 The structure is an evolution of indigenization that has been underway at UFV for over a decade. “Senate, the University’s senior academic governance body, created this standing committee of University and community leaders to guide us in our work building a University that is a welcoming and supportive place for Indigenous peoples, that provides the best learning environment it can for students of Aboriginal ancestry, that supports their needs and the fulfillment of their dreams, and that educates us all in Indigenous ways of knowing, learning and being,” said Mark Evered, President of UFV. The committee will ensure academic programming at UFV continues to be respectful and relevant to Indigenous peoples’ goals of self-determination and well-being. For complete structure and terms of reference of the committee please visit the Indigenization Committee of Senate web page.